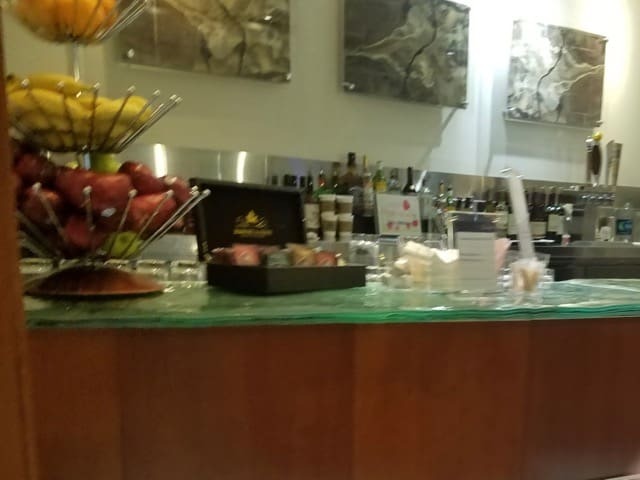 For how many flights go in and out of Salt Lake City, it is a barren wasteland when it comes to airport lounges. 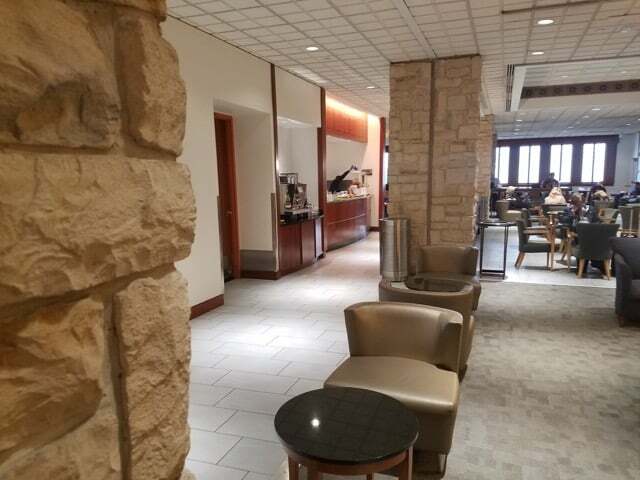 In fact, as far as I can tell, there is only ONE lounge and that is the Delta Sky Club SLC. 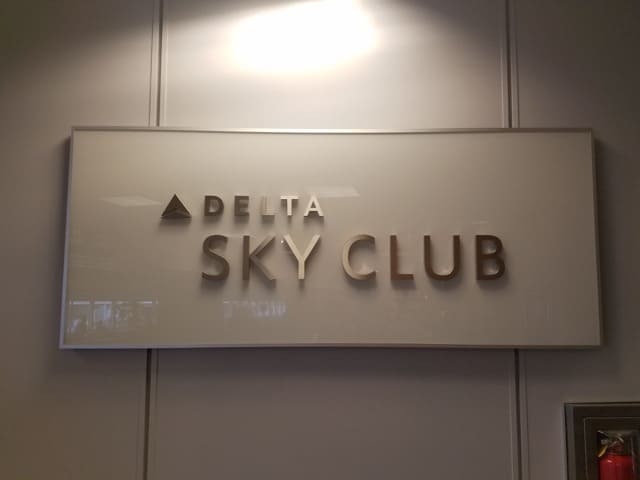 Passengers traveling in a premium cabin on Delta or partner airline (SkyTeam) OR with an Amex Platinum card flying any class with Delta can access the lounge. All the details on access available here. 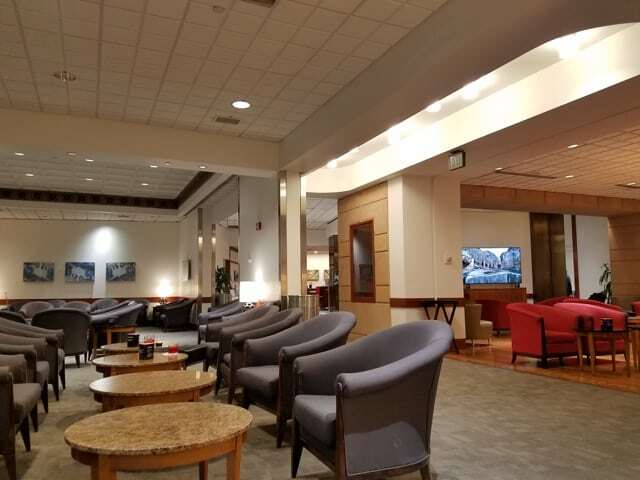 Note that if you access the Delta Sky Club SLC with your Amex you cannot bring in any guests without paying an additional fee. 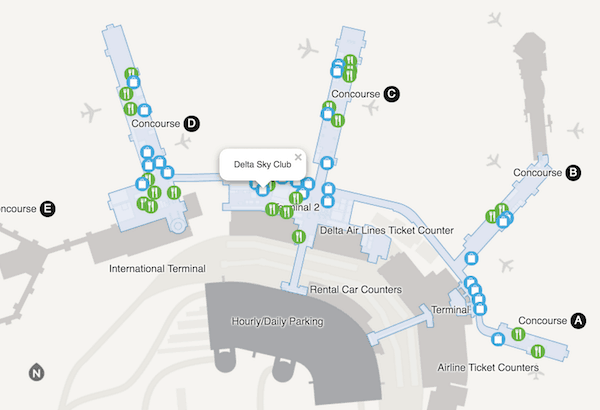 The Delta Sky Club SLC is located on the west side of Terminal 2 next to the McDonalds between Concourse C and D.
It was Mother’s Day when I visited the Delta Sky Club SLC and they had extra decorations out and were offering mimosas to all moms (pretty sure you could order a mimosa on days other than Mother’s Day but not sure). There was plenty of seating although it definitely felt like most other domestic airport lounges I have been in. I believe it is the same designer my dentist uses for his waiting area. So non offensive. 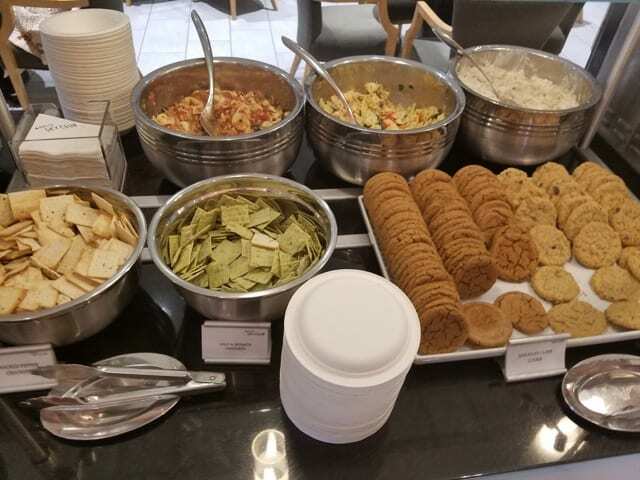 There is a small bar and snack buffet. 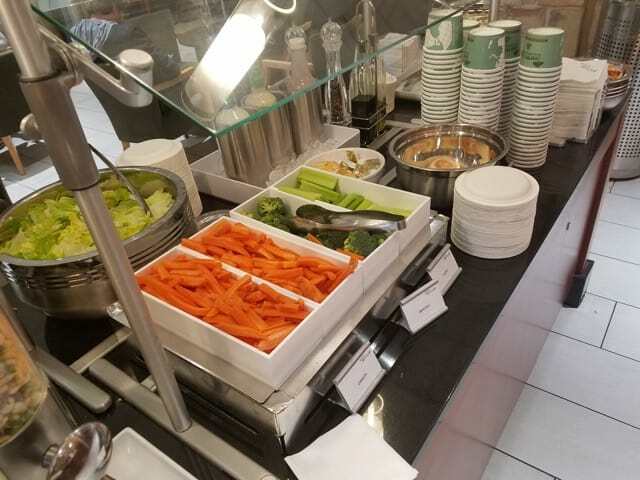 Nothing too substantial but a good amount of fruits and veggies.